A workshop and set of meetings (April 15 & 16, 2015) took place in the capitol city Male in the Maldives. It was an event of the CAP on a Map kickoff in the Maldives. The project aims to improve the institutional responsiveness to all-hazards. The workshop and meeting, serving as a platform to initiate the project in the Maldives, was organized by the project counterpart the National Disaster Management Center (NDMC) of the Government of Maldives. An important expectation of the workshop was to convince the existing disaster management technical committee of the emergency coordination efficiency gains and incremental effectiveness the project, once implemented, would offer. A large number of the technical committee members were present at the workshop. They agreed to serve as the CAP working group, with oversight and support the CAP-enabled Sahana Alerting and Messaging Broker (SAMBRO) implementation. The report outlines six points the the technical committee should support and lobby for establish a platform for Multi Agency Situational Awareness. The Island country is frequently challenged with windstorms, wave swells, floods, water outage, earthquakes and maritime accidents. Tsunami and Cyclones are less frequent but possess great threats. The maritime vessels are mandated to be equipped with VHF communications. However, some private smaller boats rely on cellular phones. Island are interconnected to optimize on network downtime. However, there are many shadow areas that require alternate satellite based communications. Two meetings followed the workshop on the second day. First was with NDMC (Honourable State Minister Mr. Mohamed Zuhair, Honourable Deputy Minister Mrs. Fathimath Thasneem, and Project Director: Mr. Hisan Hassan) . Second was with the Maldives Meteorological Service (MMS) officials. The two main organizations: NDMC and MMS agreed to support the CAP-enabled SAMBRO implementation. They are interested in the efficiency gains with interoperability and automating alerting/warning. At present MMS incorporates several modes of communication involving telephone calls and text-messaging. Other authorities such as the Maldives Disaster Response Force (MDRF) use VHF radios along with mobile phones. All which can be integrated for disseminating the single entry of a CAP message to multiple agencies and recipients. Participants, during a SWOT analysis of implementing CAP on a Map project, recognized the importance of Sahana software being open source and customizable serving emergency coordination. They had misinterpreted that Sahana system interdependent on the Internet. A Sahana installation on a laptop directly connected to a GSM modem disseminating SMS, is an example of a non-Internet dependent solution. 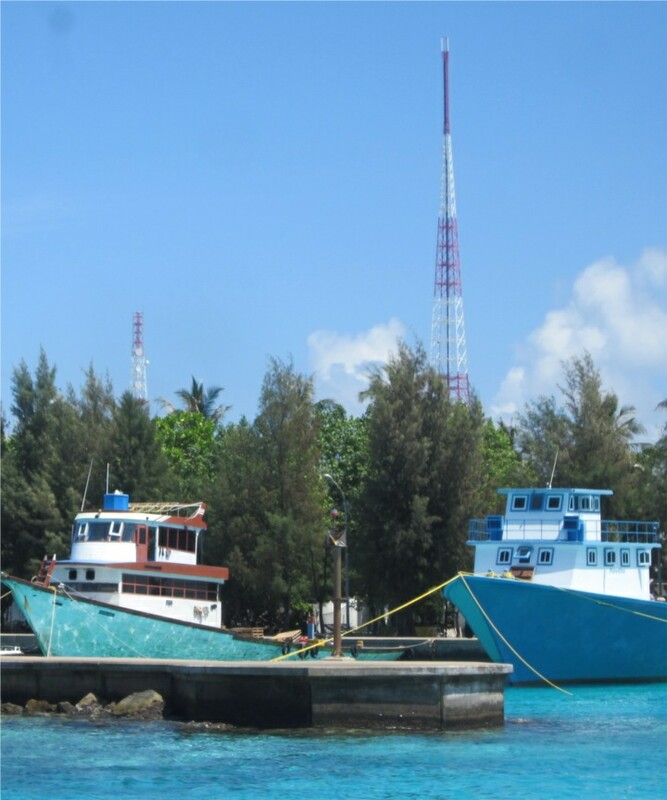 It is important that NDMC, possibly in consultation with Communications Authority of Maldives and Ministry of Broadcast, determine the necessary and sufficient technologies to cover all Atolls and Island. Other discussions were on the needs for of building institutional capacity. The software will offer agencies with a common operating picture to coordinate and respond to any emergency by exchanging near-real-time CAP feeds. CAP and Sahana are the two success stories from the devastating 2004 Indian Ocean tsunami. It is good to see the two projects coming together with SAMBRO.